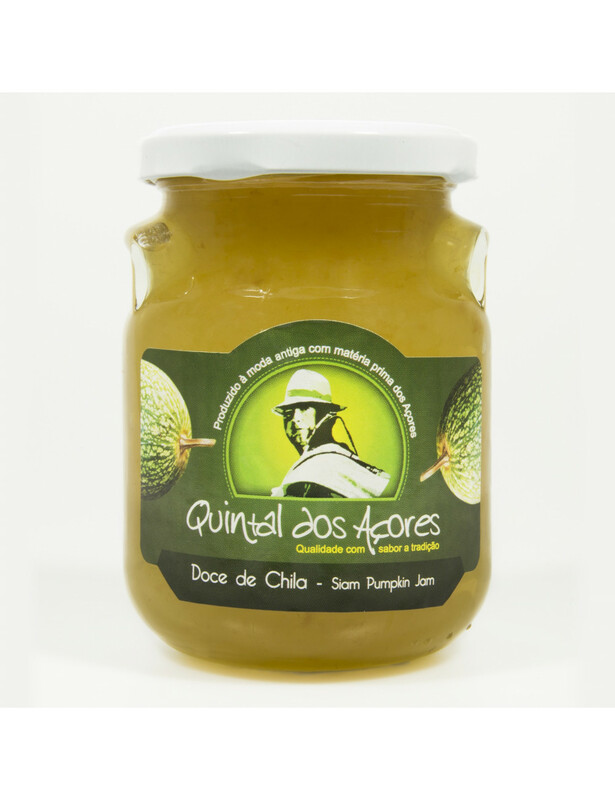 The marmalades produced by "Quintal dos Açores" are made with fresh and natural products from the Azores, from typical home recipes of the island of São Miguel. Traditional homemade product produced exclusively with raw materials from the farms of Quintal dos Açores, in the island of São Miguel. 70 grams of fruit per 100 grams of product. 65 grams of sugar per 100 grams of product.